Did The 2017 Solar Eclipse Prank Millions Of Zooplankton? Prior to Monday’s solar eclipse, we talked to an Oregon State University researcher about how the event might affect the world’s largest mass migration. KLCC’s Brian Bull has an update. 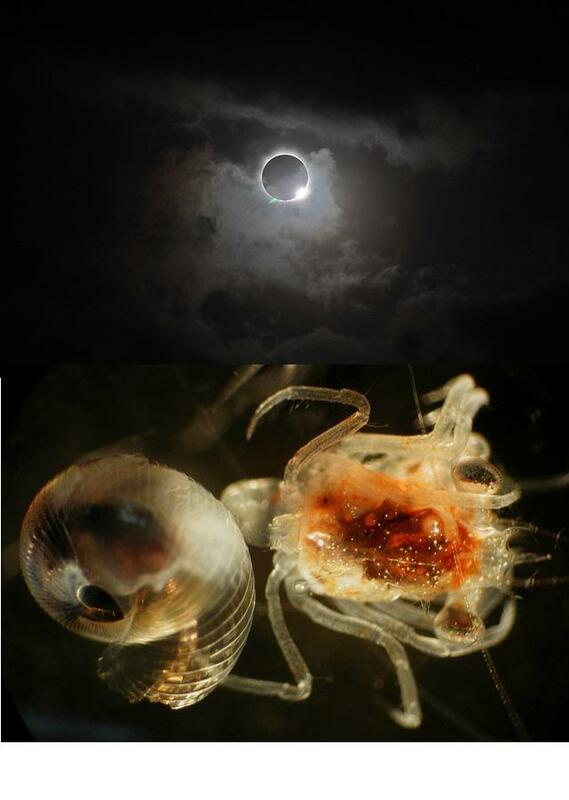 The eclipse (above) and zooplankton (below). Every night, small animals called zooplankton come up from the ocean depths to feed. 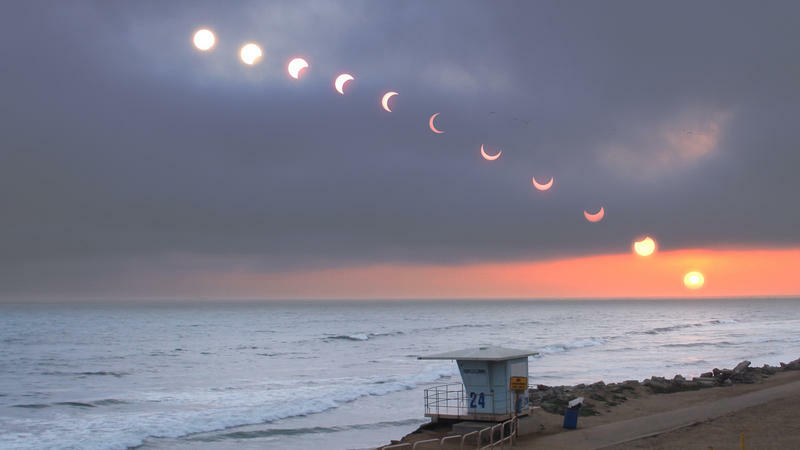 Jon Fram of OSU’s College of Earth, Ocean, and Atmosphere Sciences says they expected the eclipse to trick the marine critters into an early dinnertime. Now several ocean sensors in Newport and Grays Harbor, Washington are showing them just what happened. BULL: Well, I hope the little guys weren’t too disappointed. 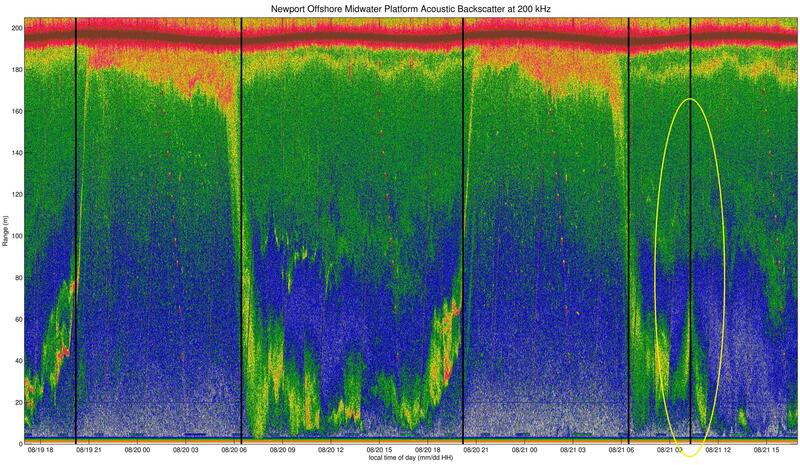 A bio-acoustic sonar reading shows zooplankton rising towards the ocean surface during the 2017 solar eclipse. The rise of the zooplankton during an eclipse reinforces similar research done in the 1950s and 70s. Fram says monitoring technology has advanced in that time, so results should be more accurate and complete. As for the zooplankton’s false alarm, no worries. Fram says they came back later at their regular time to feed. 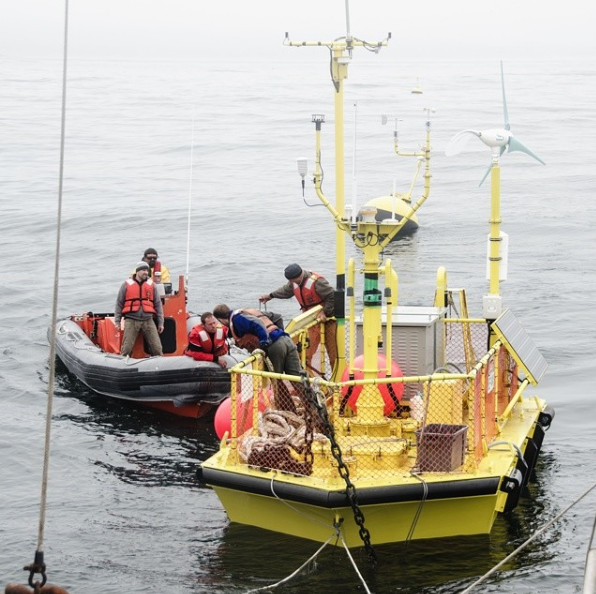 While millions of people will be looking up to witness the solar eclipse this Monday, some will be monitoring the ocean for its effects on what an Oregon researcher calls the “largest mass migration on the planet”, among other things. KLCC’s Brian Bull reports. More than two dozen high school teams from across the country are converging on Corvallis this week, to test their scientific knowledge of oceans. KLCC’s Brian Bull reports. Among the countless millions of people who viewed yesterday’s solar eclipse, were firefighters across the Pacific Northwest. As KLCC’s Brian Bull reports, suppression efforts in Oregon were actually helped by the event. As the moment of the total solar eclipse approaches this morning people are gathering to watch the moon pass over the sun. 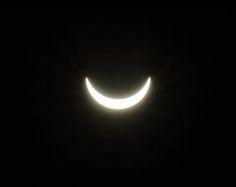 While thousands are in the path of totality, Eugene is expected to experience more than 99 percent totality. KLCC’s Brian Bull climbed Spencer’s Butte early this morning to get a good view. Here’s an eclipse story for the books. 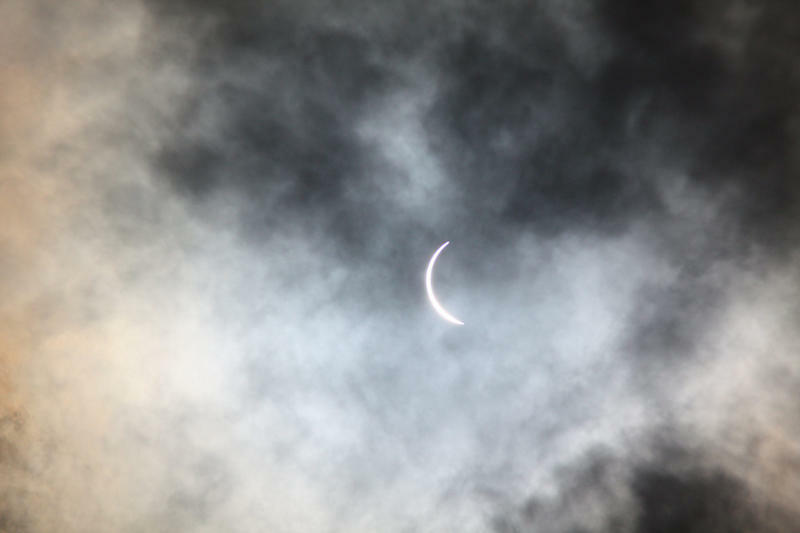 On August 11, 1999, a total eclipse touched the tip of the United Kingdom at Cornwall. Oregonian author and counter-cultural icon, Ken Kesey, and his band of Merry Pranksters planned a festival to coincide with the solar event. They loaded their techno-color bus on a ship and forty Pranksters traveled “across the pond” to see what they could see.